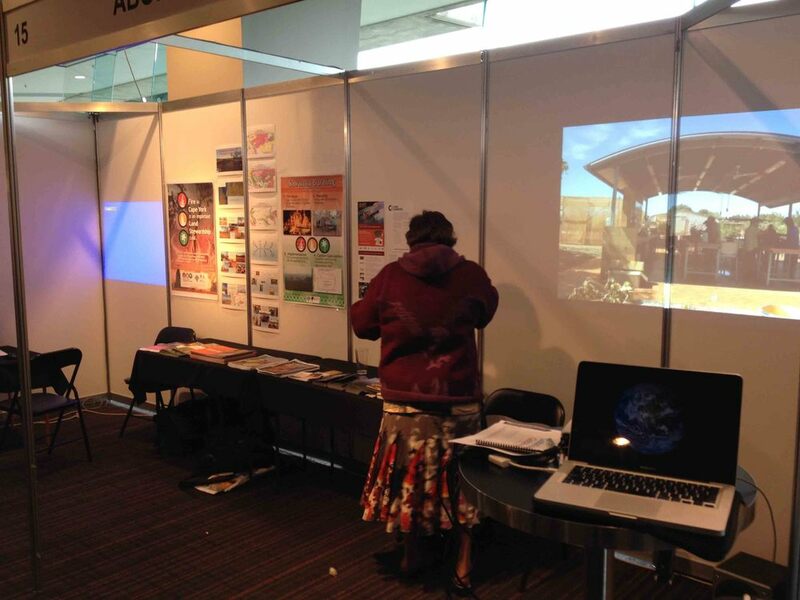 We decided to take the plunger and sponsor a stall at the CMI Emissions Reduction Summit and Marketplace in Melbourne 5-6 May 2014. Rowan moved into gear and started inviting all his friends from northern Australia. The timing was right to introduce project owners on the ground to the carbon market. People were keen. Suddenly we had representatives from the North Kimberley Fire Abatement Project, Djungan traditional owners, Kowanyama fire project, Cape York Sustainable Futures and the North Australia Fire Information service. We needed a double stall to fit them in! And we needed to fit out the stall. I took a look around my flat. Hmmm. To keep things on the cheap I scoured the local second stores and managed to pick up some stools. Add some folding tables and chairs, and some quick fire tablecloths from super cheap fabrics in Sydney Rd and we were on the way. With posters and brochures from everyone and the first cut of our savanna enrichment movie we had a stall! I enjoyed Rowan lugging my computer, tables and speakers into the MCG. Rowan presented on the voluntary market panel and gave a good account of our Fair Carbon initiative. If we work together we will do better than if we try and cut each other out. It’s called a farmers’ coop. Together we can recognise benefits that go beyond just the carbon. We can’t rely on the government to do this for us. Rowan didn’t miss the opportunity to capture some industry leaders on the steering committee. First meeting coming soon. We were pleased to help the CMI put on a show. We need a strong industry body. Our northern Australia delegation are now much better informed about how this strange carbon market works and the players who are involved. 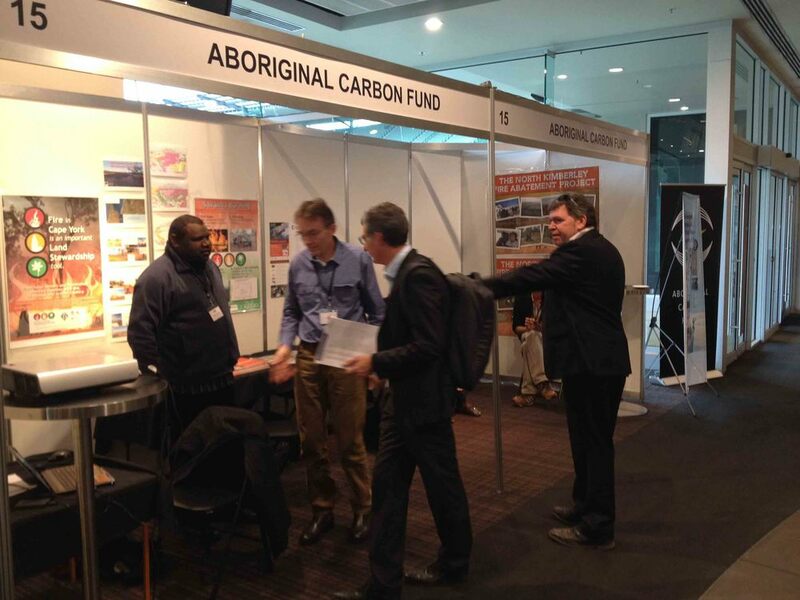 We think it was also important for the broader market place to see the faces of Aboriginal carbon projects in northern Australia. A few deals may yet get done. Couldn’t ask for much more as I watched Rowan lugging my speakers and equipment out of the MCG. Newer PostBudget 2014: Emissions Reduction Fund anyone? Older PostCMI Summit 2014: Haiku!